Once the ASUS EeeBox seemed to be configured and working well I decided to search for a wireless keyboard and mouse that I could use to control the system. Granted, there’s nothing wrong with the keyboard and mouse that came with the system but I wanted to find something much smaller, which I could leave on a table with the other remotes. Running a quick search for HTPC and keyboard on Amazon.com immediately hit upon the Rii mini. 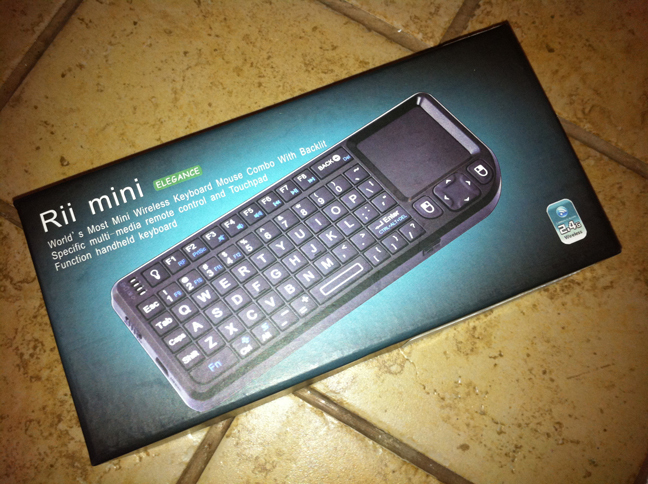 It’s a small, wireless keyboard and touchpad that operates in the 2.4 GHz range. It had good reviews, all of the features I was looking for, and was only about $35. I went ahead and ordered one.